Fig. 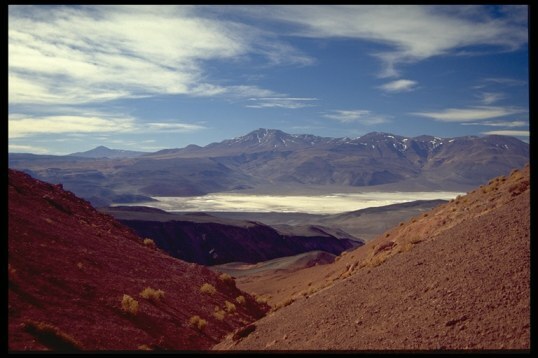 1 Westward view on the volcan Tebenquicho located in the northern part of the Salar de Antofalla area. Fig. 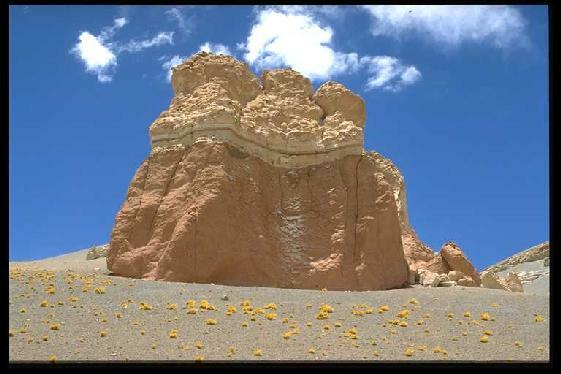 2 Thick ignimbrites exposed in the Quebrada Archibarca (located west of Vega Caballo Muerto). An Ar-Ar age determination indicates a Pliocene age (3.64 ± 0.02 Ma). Fig. 3 Northwestern part of the Salina del Fraile. 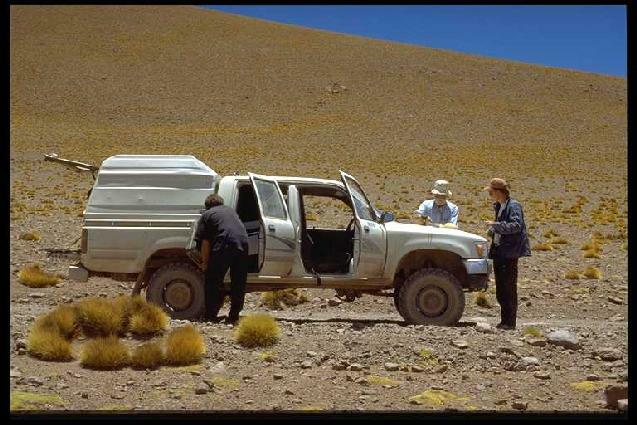 Aeolian sediments of Permian age. Fig. 4 View into a valley located NW of the village Antofalla. 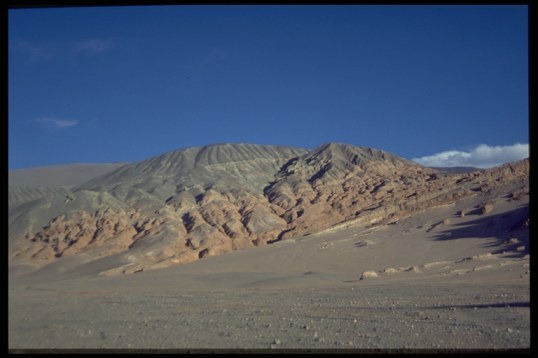 Late Eocene to early Miocene Quiñoas sediments disconformably overlain by Miocene Potrero Grande sediments (with thick intercalated ignimbrites). Fig. 5 View on the eastern flank of the Salina del Fraile. 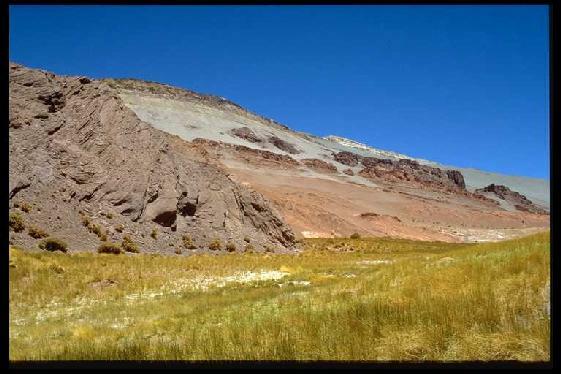 In front, Permian sediments overlain by Late Eocene to Early Miocene Quiñoas sediments. 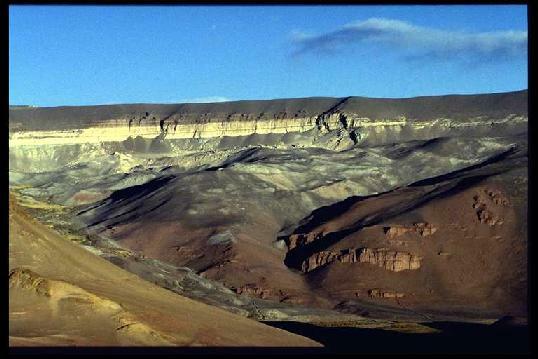 In the background, white-coloured ignimbrites forming the uppermost part of Miocene Potrero Grande Formation. Fig. 6 Quiñoas Fm. - reddish sand and siltstones of an fluvial distributary system. Fig. 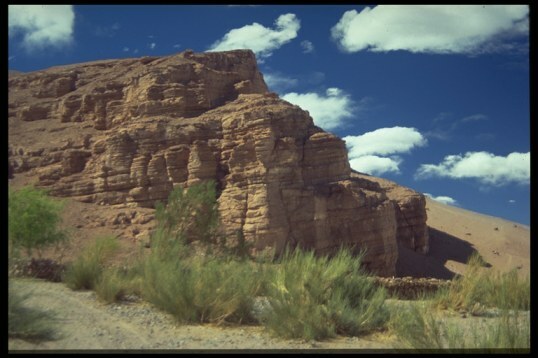 7 Progressive angular unconformity indicating synsedimentary tectonic activity during the Early Miocene. Fig. 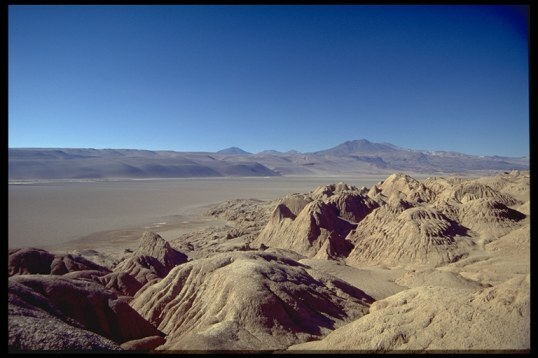 8 Westward view from the eastern border of the Salar de Antofalla. 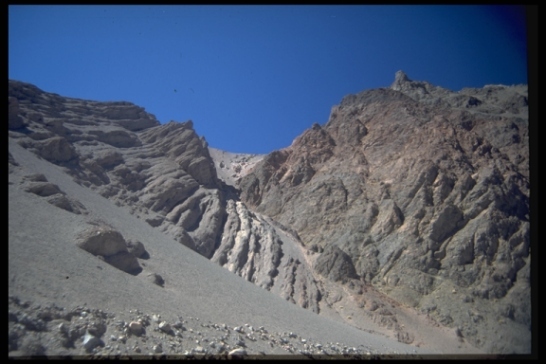 In front the evaporite-bearing sediments of the Mid-Miocene to Pliocene Juncalito Fm. Fig. 9 Reddish sand and siltstones of the Mid-Miocene to Pliocene Juncalito Fm. 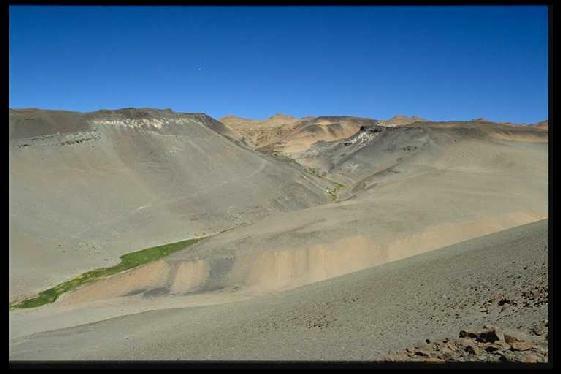 unconformably overlain by green sandstones and conglomerates of the Pliocene to recent Escondida Fm. Fig. 10 D1B team at work. Fig. 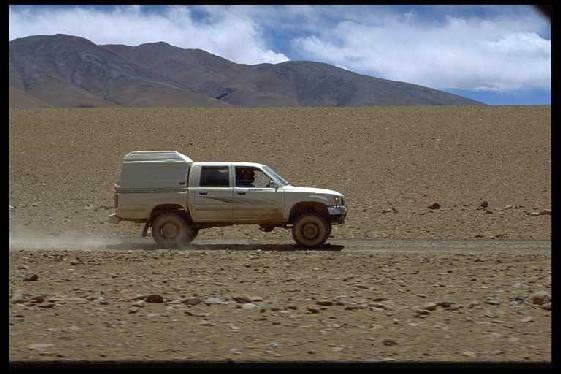 11 Race at 5000 m altitude.